There are only about 6 Lightnings that are in flyable condition, with the Skidoo being the most recent Lightning to be restored, in 1988. The Skidoo is estimated to be worth 14 million dollars. Glacier Girl was restored more recently, taking flight in 2007. EDIT: I just saw you likely got that information off the Planes of Fame site: http://planesoffame.or​g …P-38J&cntnt01returnid=12​8 I sent them an email asking them to correct that information. I assume it was written before Glacier Girl flew. I'm surprised POF hasn't updated their site. Post edited over 2 years ago by golfecho. FABULOUS shot! I live in Melbourne, but missed the French team. Interested to know how they did with the Alpha Jet. It is a trainer (and somewhat old at that). I suspect they did conservative energy management . . . sorta like the Snowbirds. Some shots from this past weekend at NAS Corpus Christie air show. Too much overcast most of day and planes too far out over the water but tried. Yeah, I agree. The weather sucked! I was hoping they would be a little closer and more active being that it was over water. Randy ball and the V22 demo was pretty cool. Thanks man! I was really impressed with their show. The only other team that I have seen, over the last few years, that I thought were better, was the Breitling team that was here last year. I have a lot more pictures on my Flickr page, if you're interestd. 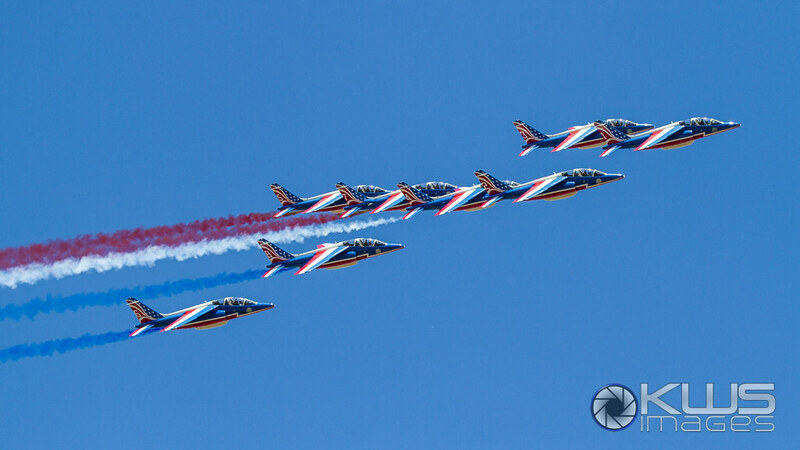 Did the Patrouille De France do any cross overs? I don't see any in your Flickr Album. They are scheduled to perform in my area on the 30th along with the Snowbirds. They did several, but I was not in a position to shoot them. The French team and the snowbirds? That will be a great show!